"Saints row 5! 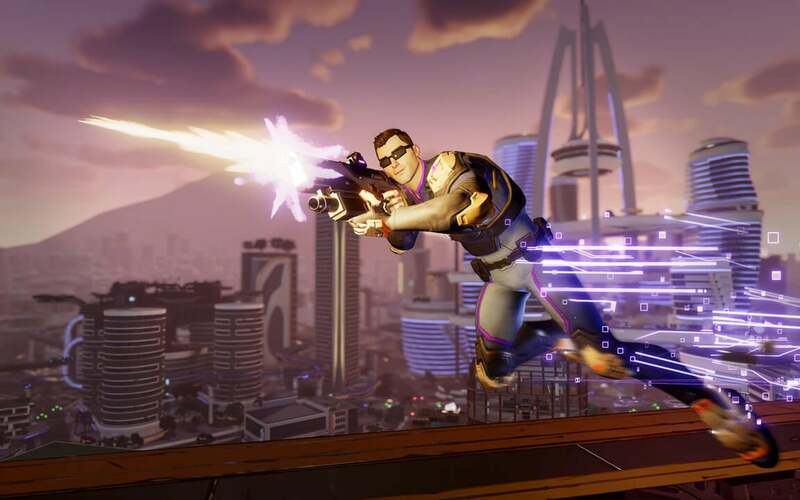 O wait...."
Volition, the people behind the Saints Row series, have released a new trailer for their next game Agents of Mayhem. The trailer shows off three of the characters Hollywood, Fortune, and Hardtack. Hollywood has a large ego and used to star in the film industry, reality and adult films that is. According to the video he delivers "over-the-top" gameplay and "a necessary spectacle,". Fortune, the pistol wielder, however has an attitude and also has her drone Glory to help her out in battle. Hardtack is a big bruiser and likes to get up close and personal. Also that ability of his where he puts people in bubbles and shoots them into the sky is pretty awesome. You can switch almost instantaneously between the three above characters who make up the Franchise Force using the teleportation ability. If only we could use a teleporter to take us August 15th which is when the game will launch on Xbox one.